This article was last updated Sep 21, 2017, but some terms and conditions may have changed or are no longer available. For the most accurate and up to date information please consult the terms and conditions found on the issuer website. A secured card is a credit card that requires a security deposit, typically a few hundred dollars. The security deposit acts as collateral and becomes your line of credit. Therefore, if you want a $500 credit limit, you will have to deposit $500 into your account. Secured cards are a great way for you to build or re-establish credit, especially when you may not qualify for an unsecured card. One of the reasons people find themselves drowning in credit debt they can’t afford to pay off is that credit card issuers purposefully give out high credit limits. It’s all too easy to max out your card and be left with a bill you can’t afford to pay in full. And with interest rates in the double digits, the fees that get added to that balance over time only make it harder to pay it down. With a secured card, you’re reducing the risk that you’ll rack up debt that you can’t afford to pay. Your limit is based on how much you deposit (in most cases), so you’ll only be able to spend as much as you deposited originally. Make sure you actually use the card. Most secured cards report to credit bureaus, and as long as you make a charge once a month, you will have information reported to the bureaus and have a credit report. Make on-time payments in full every month. Your job is to make sure that your card issuer is only reporting good news to the credit bureaus — and by good news, we mean on-time payments. If you make all of your payments on time and in full, this will be reported to the credit bureaus, and the more positive payment history on your credit report, the higher your credit score will be. Keep your utilization low. In addition to making on-time payments, you want to show that you have control and you are able to only spend a small amount of your available credit. This is called your utilization rate — it’s how much credit you use each month versus how much credit you have access to. Ideally, you shouldn’t carry a monthly balance that’s more than 20 percent of your total available credit. So if you have a secured card limit of $200, you never want to leave a balance of more than $40 each month. To compare secured cards from multiple issuers, use helpful tools like our comparison feature that breaks down the various differences between cards such as credit required, card fees, and other additional details. With this tool you don’t have to worry about switching between websites to see which card suits your needs — you can conveniently compare as many cards as you like all in one place. You can also find secured offers at local banks and credit unions where you live. Often you’ll have to visit your local branch to apply for a secured card, and credit unions often require membership (which may or may not come with an annual fee). Before applying for a card from a major issuer, be sure to consider local options as well. The Discover it® Secured has a $0 annual fee and requires a security deposit of $200 or higher. This card is unique in several ways. It comes with a rewards program where you will earn 2% cash back at gas stations and restaurants on up to $1,000 in combined purchases every quarter, automatically. 1% unlimited cash back on all other purchases. Although rewards are not the main reason for getting a secured card, they certainly are a nice perk. 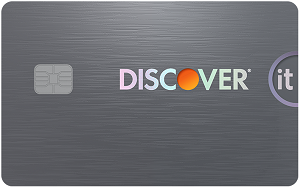 Another great feature of the Discover it® Secured is Discover’s automatic monthly reviews of your account starting at eight months to see if you can be transitioned to an unsecured card. This takes the guesswork out of wondering when you’re ready for an unsecured card. You won’t be charged a late fee on your first late payment, which acts as a great reminder to set up auto pay. Other features of this card include access to your FICO® Score with Discover Credit Scorecard, which allows you to track your progress over time, Social Security number alerts, and more. 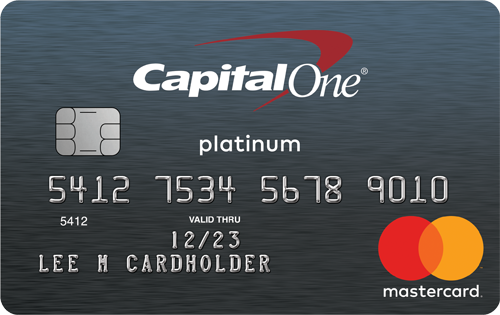 The Capital One® Secured Mastercard® has a $0 annual fee, and you will get an initial $200 credit line after making a security deposit of $49, $99 or $200, determined by your creditworthiness. This card is potentially a good option for people who can’t afford a $200 security deposit — keep in mind the lower deposit is not guaranteed and based on creditworthiness. There are no rewards associated with this card, but a nice perk is the potential to access a higher credit line after making your first five monthly payments on time with no additional deposit needed. You will also have access to your VantageScore® using CreditWise®, allowing you to monitor your credit progress. 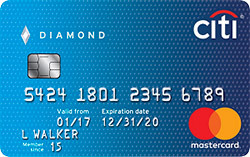 The Citi® Secured Mastercard® has a $0 annual fee, and you must make a security deposit of at least $200. This is a bare-bones secured card that doesn’t include a rewards program or any significant benefits. Similar to the other secured cards mentioned, Citi® Secured Mastercard® reports to the three major credit bureaus, and if you practice responsible credit behavior you can build good credit. Prepaid cards do NOT report to credit bureaus. Most secured cards report to the three credit bureaus (Equifax, Experian, TransUnion), while prepaid cards do not. That means you can’t build credit with a prepaid card. 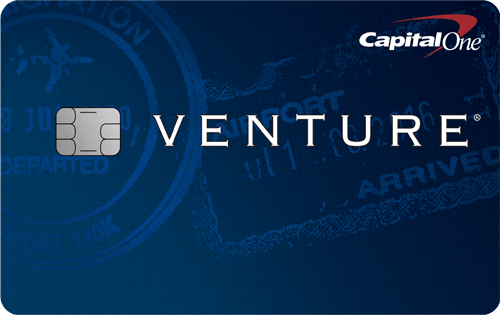 You can build credit with a secured card. You have to make payments on a secured card. While prepaid cards act like a debit card, secured cards require you to take action and pay at least your minimum payment each month (though we recommend paying your balance in full). 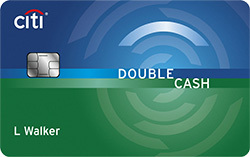 Prepaid cards come with more fees. With secured cards, you will be charged interest and other fees on past due balances. Most prepaid cards charge numerous fees that you won’t find with secured cards, like processing fees, card activation fee, monthly fees and more.